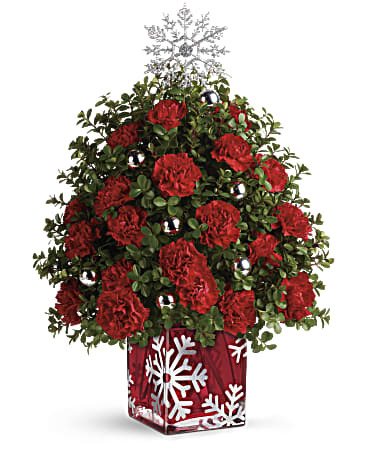 Oh Christmas Tree, Oh Christmas Tree! 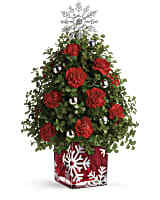 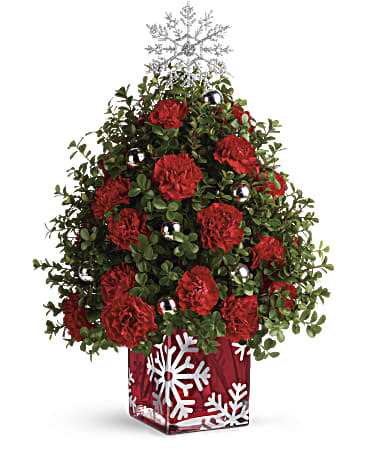 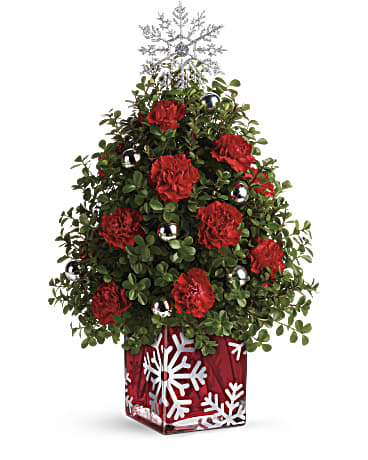 Nothing says classic Christmas like this beautiful boxwood tree, trimmed with fresh crimson carnations, shimmering silver ornaments and a single sparkling snowflake. 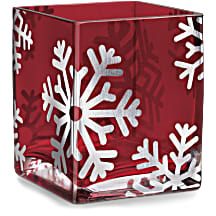 It's nestled in a glorious gift all its own: a hand-decorated crimson cube that doubles as a festive candleholder.